OptiFuse is currently seeking high-motivated electronic and automotive distributors to join our sales team. We make doing business with us extremely easy by eliminating the road blocks that other manufacturers artificially create to limit access to their products. Every OptiFuse authorized distributor has unconditional access to OptiFuse's entire product line with no minimum orders and no minimum inventory requirements. In addition, you will never need to worry about competing directly with OptiFuse or master distributors as 100% of all OptiFuse sales are made exclusively through our authorized distributors. OptiFuse will NEVER sell directly to an OEM customer*. OptiFuse’s distributor pricing is extremely competitive being typically 20-30% less than our competitor’s published distributor pricing. In addition to our low book pricing, OptiFuse offers highly competitive “meet-comp” for high quantity opportunities. Since OptiFuse only sells to distribution, we will never ask you to provide Point-of-Sale information. We believe that your customers are yours not ours. OptiFuse rewards distributors who help to build print position by protecting those distributors with a part registration unlike that of any other. OptiFuse’s minimum order is 1 piece. OptiFuse does not require any of its distributors to inventory any products to maintain it franchise agreement. OptiFuse is vehemently opposed to the practice of POS reporting and does not require any distributor to reveal proprietary customer information. OptiFuse is dedicated to their distribution channel and will not sell to any end-user or manufacturer (located in North America) on a direct basis. OptiFuse price list was developed to provide the distributor a cost advantage of typically 20-50% as compared to the competitor’s book cost at the same quantity breaks. OptiFuse will not force any distributor to purchase their products from any “Master” distributor. OptiFuse allows its distributors to register products for a specific customer. OptiFuse will create a special part number for the distributor registering the part. Should OptiFuse receive a RFQ from another distributor for the registered part, then the price to the other distributor will be 100% higher than the registered distributor’s price and/or referred back to the registered distributor. Should any purchase be made of the registered part, by anyone other than the registering distributor, the registering distributor will receive a commission of 6% for that sale. 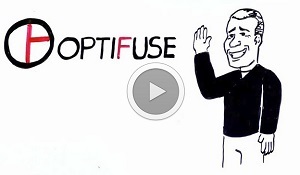 If you’re interested in becoming an OptiFuse distributor, please click on the link below or contact OptiFuse at sales@optifuse.com.